I help people unlock their potential through design. Have you ever struggled to complete a design project on time? Or felt that having a tight deadline stifled your capacity for maximum creativity? If so, then this book is for you. Become a more effective creative thinker with this design bestseller. Collaborative strategies work when they're designed by teams—where each person is heard, valued, and held accountable. This book is a practical guide for team leaders and individual contributors who want to play by a better set of rules. Buy it on Amazon.com. This card deck is a simple way to align your teams, fast. They’ll help you identify what’s most important to you when you work on a team, describe your shared values and behaviors, and agree on what behaviors will help your team work together successfully. Get your copy here. I'm co-author of a popular design thinking toolkit from frog, created for leaders who want to work with groups to solve problems in their community. Download it here free, or read my case study about how we made it. 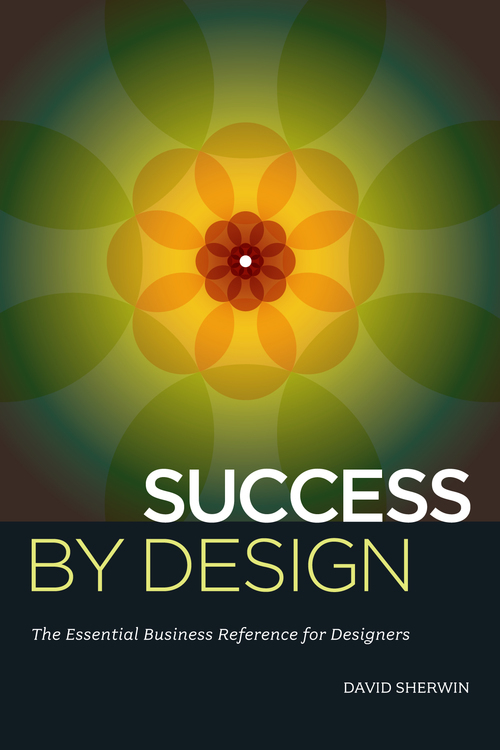 This book contains the business secrets I needed most when I started as a designer 20 years ago. It will help you become a stronger businessperson and better plan your career path as a creative leader. Buy it on Amazon.com. My partner Mary and I are hard at work on some top-secret writing projects through Ask The Sherwins. Pop on over there to read our monthly advice column and sign up for our mailing list. Hi, I’m David. Nice to meet you. Over the past twenty years, I’ve worked as a design leader and writer focused on helping people become better problem solvers and team collaborators. I’m co-founder of Ask The Sherwins, LLC with Mary Paynter Sherwin. We help organizations develop the capabilities they need for better cross-functional teamwork, research, and design. This includes the development of bespoke training programs and toolkits, workflow and process auditing, org design, and coaching and advising teams on projects that require new skills. Most recently, we've been working with Philips Oral Healthcare, Google UX Community and Culture, Eventbrite, Tipping Point Community, and Designlab Learning. In past roles, I was an Interaction Design Director at frog, where I co-authored frog’s Collective Action Toolkit. I've also led in-house product and service design teams, including those focused on online learning through Lynda.com and LinkedIn Learning. From 2014–2019, I served as a Fellow at frog, advising projects focused on social impact, education, organizational change, and other topics. 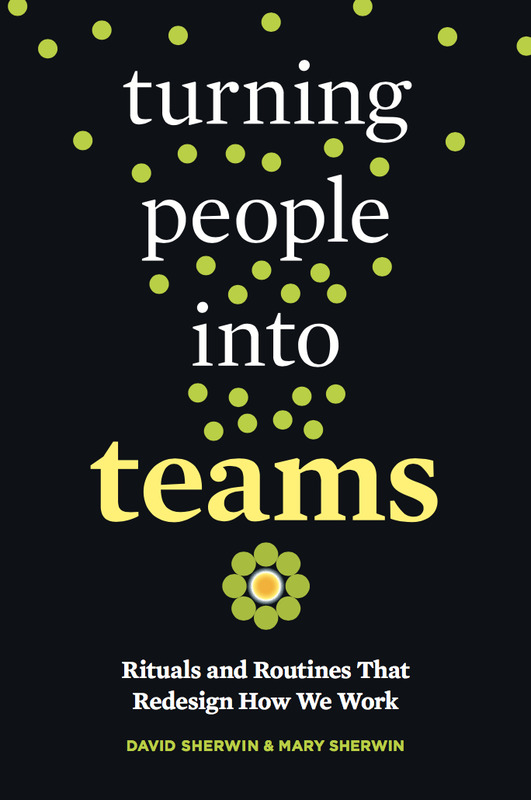 My new book, co-authored with Mary Paynter Sherwin, is Turning People into Teams: Rituals and Routines that Redesign How We Work (Berrett-Koehler). My other books on design include Creative Workshop: 80 Challenges to Sharpen Your Design Skills and Success by Design: The Essential Business Reference for Designers, and I write regularly here on the intersection of life and design. I am currently a core faculty member at Copenhagen Institute of Interaction Design and an Assistant Professor in the MFA in Collaborative Design at Pacific Northwest College of Art. I regularly speak and teach at corporations, nonprofit organizations, and schools worldwide. If you'd like to chat, get in touch at david (at) askthesherwins (daht) com.